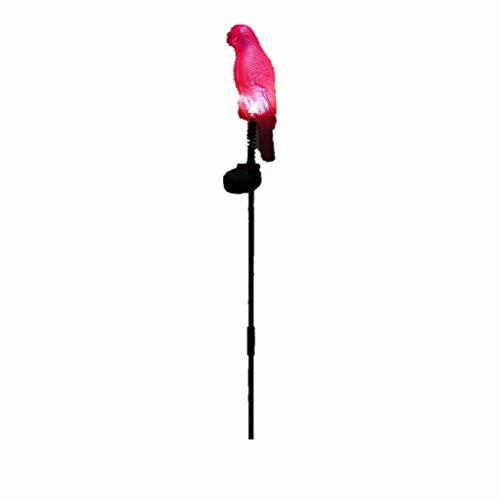 Led Outdoor Fixture,Solar Night Light Waterproof Parrot Shape Lawn Light, Garden Stakes Decorative Birds ,Outside Solar Panel, Outdoor Solar Landscape Lights,for Yard Garden Lawn Courtyard Garden (1) by JUNFEI at Outlet Shopping Guru. Hurry! Limited time offer. Offer valid only while supplies last. Introduction: Solar powered lights,energy saving and money saving.The light is charged by sunlight at daytime and work at darkness or night. Solar powered lights,energy saving and money saving.The light is charged by sunlight at daytime and work at darkness or night. wireless,energy saving and money saving. The high-efficiency thin-film solar cell panel has high photoelectric conversion rate and absorbs sunlight more quickly. No wiring required, easy to install, just stick into ground and turn on the switch inside of the lamp. If you have any questions about this product by JUNFEI, contact us by completing and submitting the form below. If you are looking for a specif part number, please include it with your message.